While pursuing a graduate degree in electrical engineering, Kendra Krueger had an epiphany. She realized that one can not fully understand science by only exploring the external world. Much of the work is also about understanding ourselves. This realization set Krueger down a path that she has never turned back on. In a world divided both scientifically and socially, Krueger set out to tell stories of a more interconnected and intersectional universe. 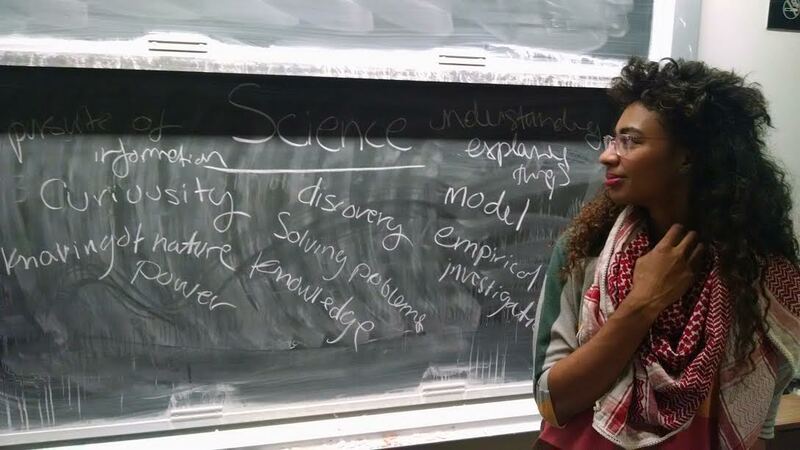 With this ethos she founded 4Love + Science, a workshop and educational program designed to arm young professionals and students with the tools gleaned from science, sustainability, social justice and art to develop new modes of thinking and existing in a complex world. Krueger believes that science can be a tool for personal liberation, allowing individuals to actively observe and question our inner world. This precious balance of scientific method and mindfulness can unlock the capacities of our conscious and unconscious mind. Through a collection of approachable games and activities, Kruger utilizes the scientific method to help people comfortably approach the issues we are facing in society – from diversity and inclusion in the workplace to college seminars and regenerative technology.